The Carnation is a flower that can bloom during cold winter months. Making it the obvious, and beautiful, choice for the January birth flower! An incredibly fitting choice for celebrating January birthdays, this pretty bloom with ruffled petals was once one of the most popular flower in the world. Over the past decade or so carnations, undeservedly started losing popularity. However they are already making their much-anticipated comeback. More and more people now realize that there’s much more to carnations than just being a filler flower in seasonal arrangements. A wide array of vibrant colors, a delicate clove-like scent, and stylish but hardy blooms known to last for over two weeks (talk about getting your money’s worth) all make carnations a great choice for birthday bouquets and festive flower arrangements. Carnations celebrate a rich history that goes all the way back to Ancient Greek and Roman times. Then, carnations were cultivated in gardens, especially for use as art and decor. The Latin word for carnation literally translates as “the flower of the gods” suggesting the reason for the flower’s divine beauty. The ‘heavenly flower’s’ modern name comes from the word “coronation”. In ancient Greece, carnation flowers were part of their coronation ceremonies. With a history dating back thousands of years, it’s no surprise the January birth flower is steeped in religious symbolism. The legend has it that the first carnation sprouted from the ground from Virgin Mary’s tears as she wept for Jesus when he carried his cross. In his famous painting Leonardo da Vinci depicted Mary with a pink carnation that has become a symbol of motherly love. To this day carnations are the most favorite Mother’s Day flowers and a symbol of International Women’s Day. In general representing fascination, love, and devotion carnations are not only ideal birthday flowers but also a popular choice for wedding bouquets, and romantic flower arrangements. The flower of rich symbolism, carnations convey a lot of things depending on their color each carrying its own meaning. January birth flower comes in pretty much every color of the rainbow and reflect a range of feelings including admiration (light red), affection (burgundy), purity and sincerity (white), or gratitude (pink). Red and white carnations are traditionally some of the most popular color choices charming both as a filler flower and as a colorful standalone bouquet. White carnations are also often used in wedding bouquets and anniversary flowers. 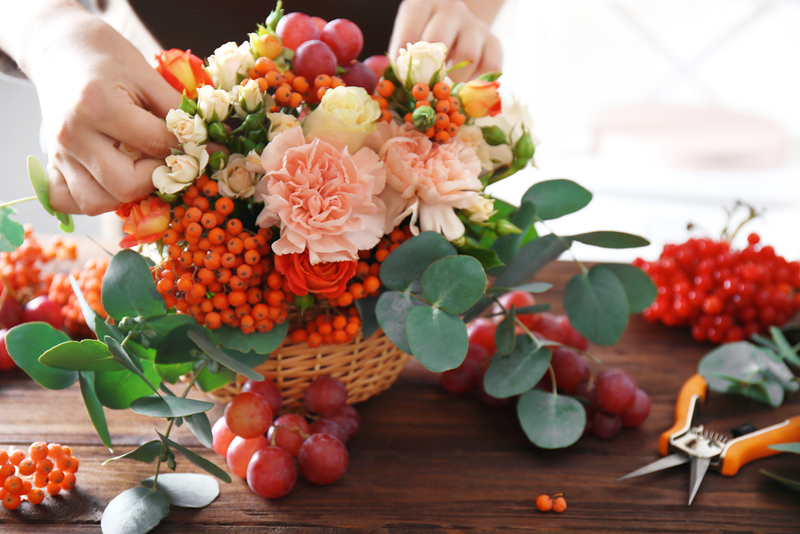 – The January birth flower can bring a lot to the table, literally. Besides looking great in in bouquets, you can actually eat a carnation! As an edible flower, carnations are perfect for garnishing salads, cakes, and desserts. But if you’ve never used carnation for food decoration, you are not missing out on much since these flowers don’t have much to boast about when it comes to taste. The liquor industry won’t agree though. They use carnations as a flavoring agent in making beer, wine, and other alcoholic beverages and we seem to enjoy it. – Even though carnations come in nearly every color of the rainbow now, this wasn’t always the case. Originally, carnations were pinkish and purple and all the other shades emerged thanks to selective breeding. But the most amazing thing is that you can actually alter the colors of these blooms yourself! And it’s easier than you think. Simply add any food coloring into the vase with water where the blooms are placed and in less than 24 hours the petals will absorb the dye and change their color. 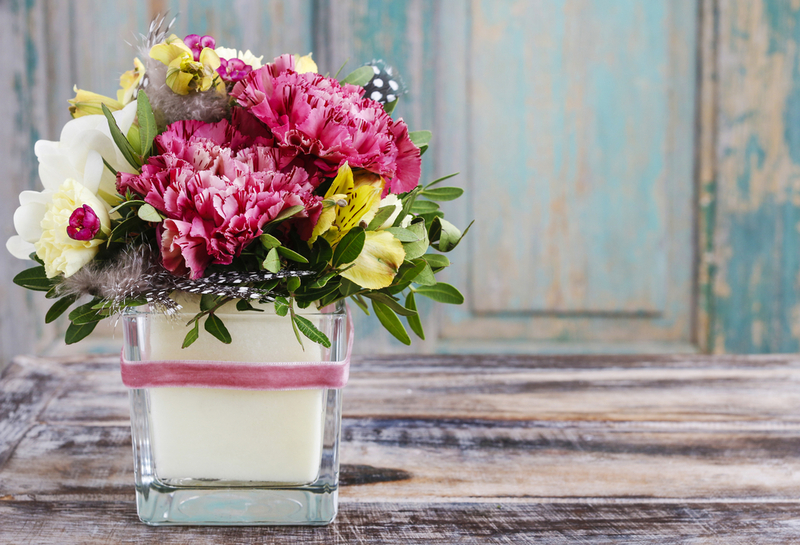 This trick is especially useful for those who love their flowers to match their interiors or their moods. – The world’s biggest producer of carnations is Colombia. Most carnations in the United States come from Bogota and the rest are from California and Colorado. – The carnation is the national flower of Spain, Monaco and Slovenia. The red carnation is also one of Portugal’s five national flowers and Ohio’s state flower since 1904. It honors President William McKinley who was Ohio born and liked wearing red carnations on his lapel. January’s birthstone is the beautiful Garnet. Though it comes in a rainbow of hues, most people recognize its vibrant burgundy color above others. The name itself comes from the Latin word ‘Granatum’, which translates to pomegranate. The name seems obvious due to the stone’s evident resemblance to pomegranate seeds. Legends and folklore describe garnet as an ancient and powerful talisman for protection, worn around the world for centuries. It was a sacred stone in ancient Egypt, in Greek and Roman civilizations, and for the Aztecs and Mayans. It is even mentioned in Jewish Talmud, which says the only light on Noah’s ark was from a large garnet. The healing and spiritual properties of Garnet stone are truly remarkable. It is a very powerful energizing and regenerative gem. It balances, strengthens and protects. It’s so versatile, it really is perfect for anyone, almost any time. It can spark creativity, bring luck in business, boost self-confidence, inspire love, and bring serenity or passion as appropriate. Although garnet is the birthstone for January, its stunning variety of colors and mystical powers, it was a gift for all occasions for centuries. Garnet is a lucky stone: lucky for love, success, and life goals. As an energy stone, it can encourage success in business and is especially powerful for women. Give your better half or female friend a jewelry with garnet and have no doubt it will help to bring her career to a new level and reach various personal goals whatever those might be. One of the most family-oriented signs out there, Capricorns are also known for their ambitious and pragmatic view on life. Extremely devoted and loving partners at home and strict business leaders at work they enjoy responsibilities and discipline in all spheres of their lives. Even though they aren’t the most generous sign Capricorns enjoy attention and gifts like everyone else. A surprise to help unwind and forget about daily stress will be a big success with this zodiac sign. Female Capricorn will appreciate a spa gift basket or a gift card to her favorite spa salon. While a gourmet basket with liquor will bу the perfect option for a male recipient. You also shouldn’t overlook flowers as this is something Capricorns really enjoy having in their homes. 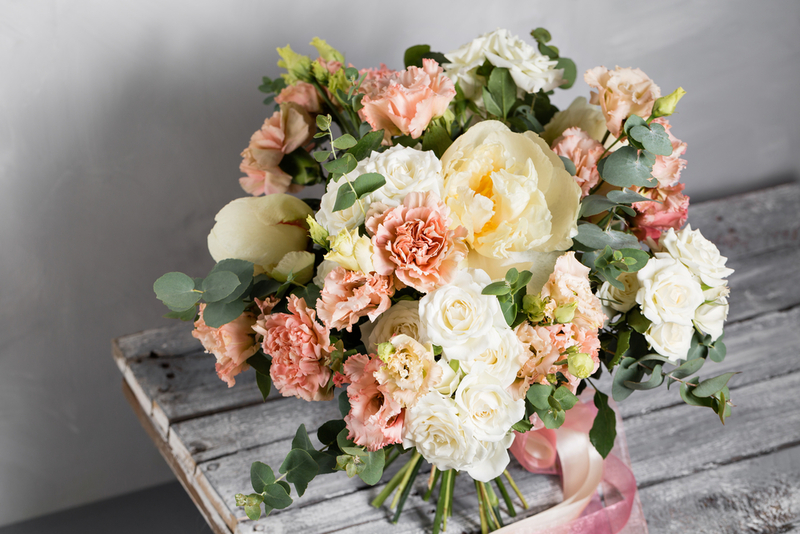 Whether you send a fresh bouquet with carnations or a living plant, it will be a nice addition to the main gift or a wonderful stand alone surprise. An airy sign, Aquarius has intuitive and independent nature. Known as intellectuals they are generally shy and might seem cold and insensitive which is a mere illusion. Given a chance they open up and let their strong energy shine through. Aquarians have a taste for the unusual, which means classic roses won’t do it for them. They would prefer something more exotic like a graceful orchid which symbolism ties into love and strength. This resonates with Aquarian’s personality like no other. Since Aquarians resonate with the color blue, flower arrangements in different blue colors would also be a great gift for this zodiac sign. To make a real impression on your recipient born in January surprise them with something they don’t expect. An edible bouquet made of vibrant fruit and vegetables or a multiple day gift are all great options for an adventurous Aquarian. Now you’re familiar with the best gift options for those born in January. Yes, carnations are January birth flower but this by no means should stop you from exploring other wonderful gift options. Let your intuition and recipient’s preferences guide you when you choose birthday gifts and your recipients will reward you, we promise! Ready to send January Birth Flower? – Browse our birthday catalog to find the right option for your budget. – Learn more about Birthday Flowers. – Share this blog with your friends on social media using your favorite social media button.